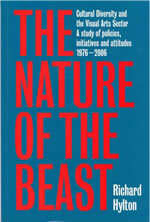 The Nature of the Beast sets out to explore the impact that cultural diversity policies and initiatives, within the publicly funded arts sector, have had on Black visual arts activity in England over the past four decades. 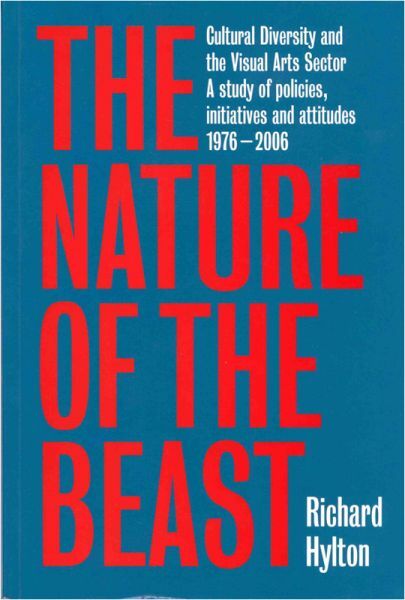 Richard Hylton offers the reader a fascinating insight into the roles played by the protagonists, including the Greater London Council, Arts Council England, publicly funded galleries and arts organisations. 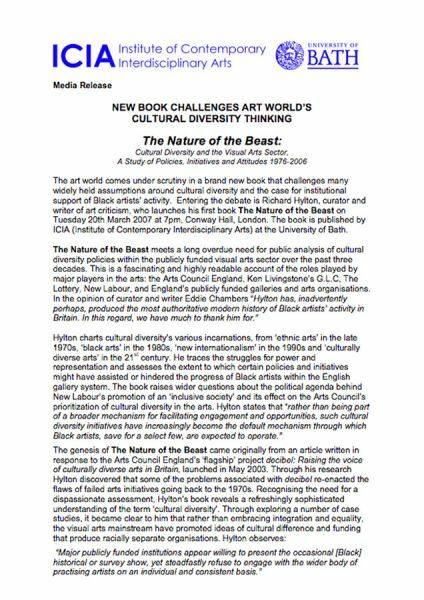 Charting cultural diversity’s various incarnations, from ‘ethnic arts’ in the late 1970s, ‘black arts’ in the 1980s, ‘new internationalism’ in the 1990s and ‘culturally diverse arts’ in the 21st century; Hylton’s study considers how, despite such changes to nomenclature, overly benevolent and prescriptive attempts at inculcating cultural diversity within the visual arts today reprise much of the outmoded thinking dating back to the 1970s. Through in-depth research and analysis, this study assesses the extent to which certain policies and initiatives might have assisted or hindered the progress of Black artists within the English gallery system. 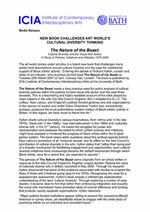 This study meets a long overdue need for a public analysis of cultural diversity policies in the visual arts and will be invaluable to readers interested in cultural policy, arts administration, curatorial practice and the contemporary visual arts in general. With a preface by Dr Daniel Hinchcliffe and an afterword by Eddie Chambers.